The Air Force has given its new hypersonic flight research vehicle the experimental designation of “X-60A,” according to a statement issued earlier this month. 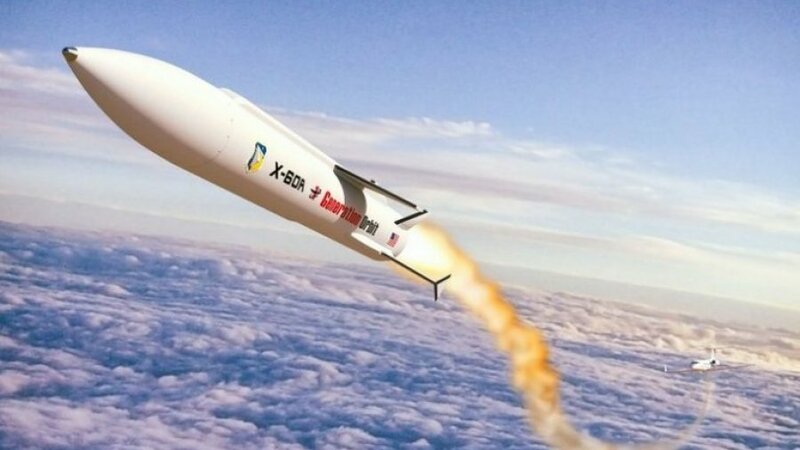 Under development by the Atlanta-based Generation Orbit Launch Services, the X-60A is aimed at helping the Air Force perfect such technologies as scramjet propulsion, high-temperature materials and autonomous control, the statement said. Capable of reaching speeds of up to Mach 8 – 6,138 mph – the vehicle will drop from a Gulfstream III jet and launch using a single-stage Hadley rocket engine that burns liquid oxygen and kerosene propellants to climb to altitudes of up to 13,000 feet. Col. Colin Tucker of the Air Force’s science, technology and engineering office described the X-60A as “a flying wind tunnel” that will capture data to complement ground testing. The vehicle’s inaugural test flight is slated for late 2019, with a planned speed of Mach 6 – or 4,603 mph – within the atmosphere, according Jane’s Defense Weekly. Air Force officials would not confirm that information, citing operational security concerns. The service has spent less than $25 million since the inception of the X-60A program and its first two tests, Air Force spokesman Bryan Ripple told Stripes in an emailed statement Wednesday. The X60-A completed a hot-fire engine test using a flight-like prototype in June 2018 and captive carry flights using a to-scale, inert prototype in December 2017, according to the fact sheet. A captive carry flight is where a prototype is attached to the launch platform for testing but is not released to free-fall. The X60-A announcement was made just days after the Navy signed a $13 million contract for a submarine-launched hypersonic missile for Columbia-class vessels.